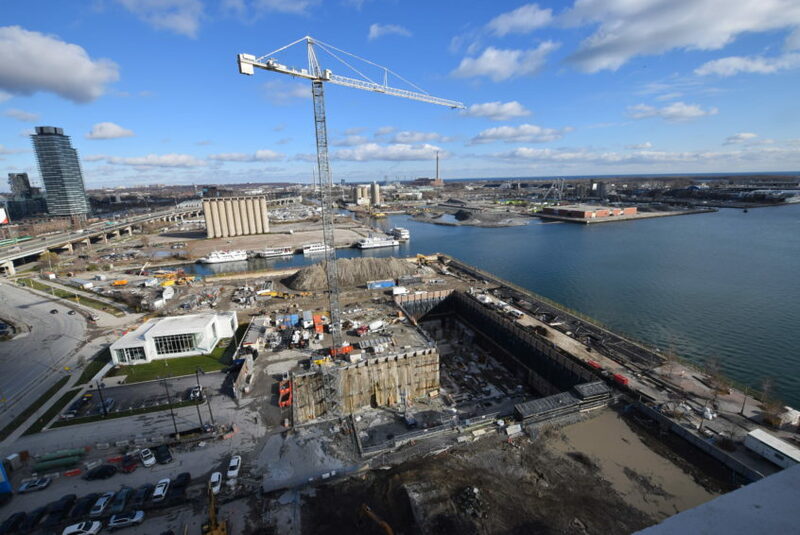 While it might not look like a lot is happening, behind the construction hoarding and work trucks, construction at Aquabella at Bayside is progressing nicely. Currently, the on-site team is forming footing caps, vertical columns and walls on the P4 to P3 levels. Once footings are complete, work on the outside walls of the foundation will begin. Footings are essentially concrete reinforced with rebar that help support the foundation of the building. Since construction began in May 2018, bulk excavation was completed in approximately six months. Following excavation, our next important milestone was the installation of the first construction crane in July 2018. 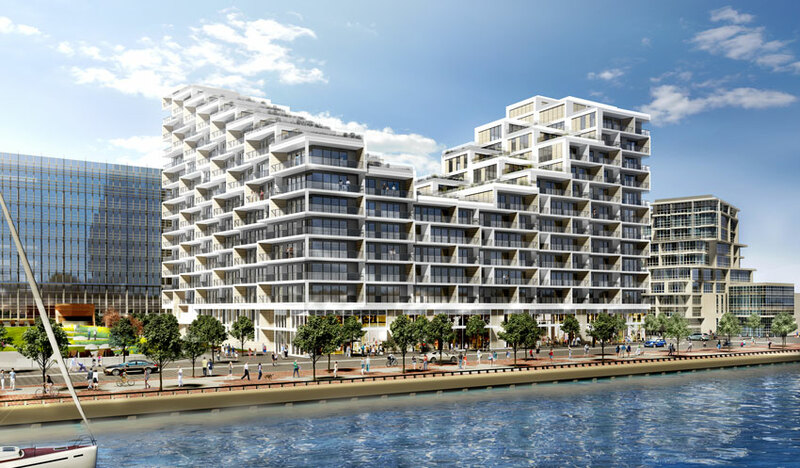 Due to it’s distinct and alluring “L” footprint, designed to create spacious terraces that offer expansive lake and city views, Aquabella will require two construction cranes. The second construction crane is expected to be installed by the end of November. A “rule of thumb” in construction is that for every day you dig down (or excavate), it takes a day to build up. Although not an exact measure by any means, it is generally a close estimate of how much time is required. Weather permitting, construction of the ground floor of Aquabella is anticipated to begin in summer 2019. Located near Sherbourne and Queens Quay East on the Toronto waterfront, Aquabella is the third phase of the Hines and Tridel Bayside Toronto community, a fully integrated, mixed-use waterfront neighbourhood. Once complete, Aquabella will stand 14 storeys and be home to 174 suites. You can now keep an eye on the on-site action at Aquabella from anywhere, thanks to our new live construction camera. Learn more about Aquabella online or visit the Bayside Presentation Centre at 261 Queens Quay East.